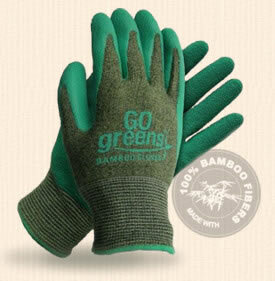 GO Greens™ Bamboo Gloves can be used as an all purpose work glove. These gloves are so versatile they can be used for almost any use. 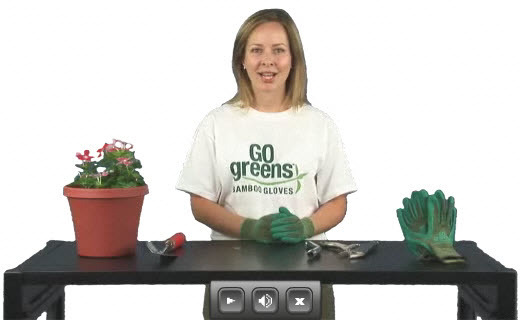 From gardening to industrial applications, these gloves fit any function. The foam coating provides good grip in wet and dry conditions. This coating also provides good hand protection. The coating is cured to mimic the natural curvature of your hand which will greatly reduce hand fatigue when worn for long periods. Consumer applications: Gardening (wet or dry), General Chores, Home Repair, Carpentry, Landscaping, Moving, Cycling, and any job requiring good grip. Industrial applications: Assembly, Construction, Delivery, Excellent General Purpose Work Glove, Inspection, Janitorial, Landscaping, Maintenance, Manufacturing, Material Handling, Mechanics, Movers, Packaging, Repair, Warehousing, and any job requiring good grip.